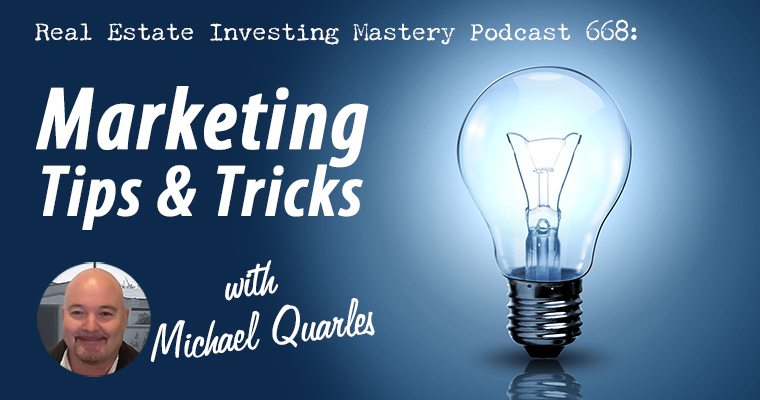 Welcome to the Real Estate Investing Mastery Podcast. Michael Quarles is our guest today and has been on before. Go check out the Real Estate Investing Mastery website—you can download lots of free items that can help your business. And, you’ll have access to all the podcasts since we started back in 2011. Michael Quarles lives in Bakersfield, CA and has a company that most of you are familiar with… Yellow Letters.com. Good URL, huh? Everything you do is marketing and every person you meet is a potential bird dog. Contact your email list, your phone contact list, etc. and ask those people to keep their eyes open for properties you may want to buy. Then, remind them often. Absentee owners are not just sellers… they can play different roles in different deals. 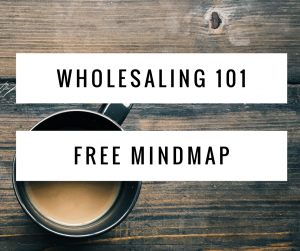 They can even partner with you on wholesale deals. Taking a deal from contract to close is sometimes a barrier to new investors. So, partner with others to complete your deals because splitting the pie is better than no pie at all. Then, let your people do their jobs and get out of their way. You, the entrepreneur, are the long-term thinker and leader. Michael knows the mail pieces that work. He knows the lists that work. Some investors resist taking advice from him—don’t be that investor. He also currently buys under median market price, targeting owners that have held house at least 5 years and have 30% equity; he prefers single-family homes. He also believes an automated follow-up system is an amazing tool. Additional phone calls, texts and emails can turn an inquiry into a sale. Ringless voice mail and online chat are new tools that Michael uses with CallText.